This holiday season, customers will be expecting that the brands they love and trust are leveling up to meet their demands. But these demands are not explicit; in fact, 32% shoppers visit stores because they like the overall in-store experience. For this reason, giving your locations the extra customer savvy they need will close this conversion gap and bring these local searches to your stores this holiday season. Location data once started off as a concise range of information collected and used to ensure that customers were able to find a nearby store. And while the core of local data optimization remains focused around name, address and phone (NAP), there is a lot of other relevant information of interest that, if correctly provided, could give holiday customers the extra nudge they need. surpassed social networks in global popularity, with Facebook messenger at 900 million and WeChat at 700 million. Branded bots make location data intelligent and drive context for personalized mobile interactions with high-intent holiday shoppers. Holiday shoppers still experience friction in making the move from search to store when they use their voice to make those searches. With nearly 60 percent of searches now performing on a mobile device, optimizing location data for voice-related queries is a must-do. When users search for locations in colloquial terms like “find me the best holiday deals,” you have the opportunity to ensure that your brand ranks for these conversational questions. With conversation comes the concept of quick, expedient location search result delivery. If a user makes a search using voice and is looking for quick responses, fast loading and bare-bones information can be provided through Accelerated Mobile Page optimization on Google. This is a revolutionary local search tactic that inherently gives a competitive brand the extra visibility boost they need in a time of heavy traffic. While most searches during the holiday season happen on the go, it’s never safe to assume that searches aren’t also being made at home. 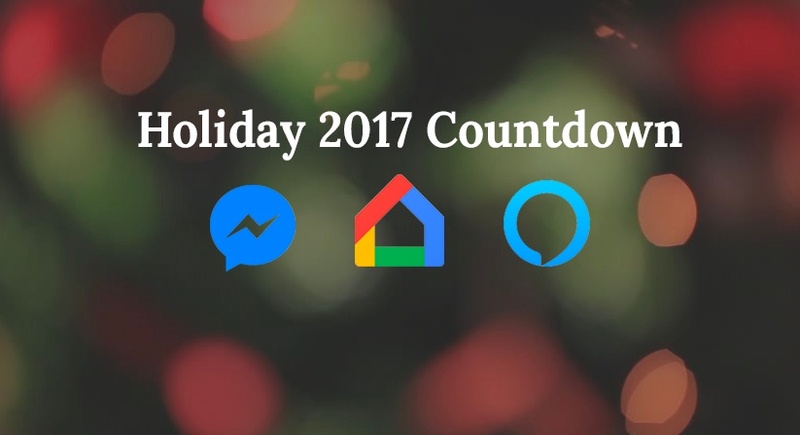 Home devices like Echo and Google Home are assisting individuals in making local purchases this holiday, with an expected 129% jump in adoption in 2017. In terms of holiday readiness, having location data available and optimized for IoT technologies is essential to obtaining the hearts and minds of the remaining portion of searchers this holiday season. Enriching location data and ensuring it's crawlability for assistive technologies is one area that can be capitalized on if your brand focuses on conversational search methods. Conversational search and messaging are growing channels that are expected to flourish this holiday season. Brandify Labs helps brands optimize their location data and brand presence to make use of these tech innovations. Contact us to confirm whether your locations are smart enough to acquire holiday shoppers.